We can repair any make and model digital camera. Whether you have a DSLR with Removable lens, or a point and shoot camera with retractable lens. We are an authorized repair center for Nikon. We repair all brands, Canon, Sony, Panasonic, Kodak, Casio, Pentax, Fuji. We can also fix your flash. 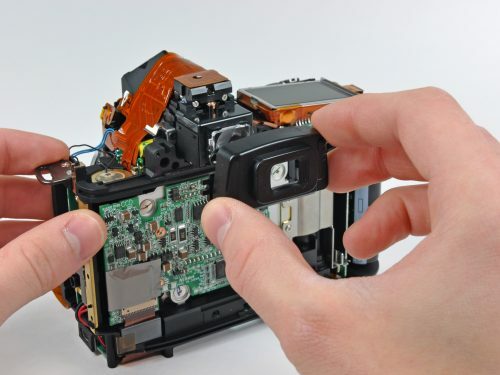 Common problems with cameras that we repair often include body damage from impact, water damaged equipment, sensor repair and replacement, lens errors, shutter release error, lens communication errors, and no power. However, we can repair any problem that you may be facing. Sensor cleanings on all camera bodies with a removable lens is a $40.00 fee, and can be done while you wait. You may need your sensor cleaned if you are seeing spots or dust on all of your images.